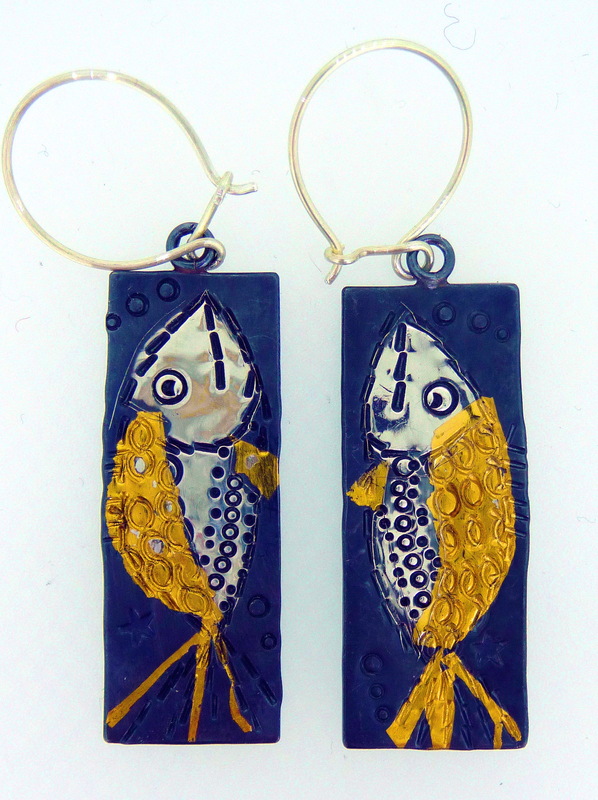 These little fishes are on their way to join our menagerie. They are made from silver and 24ct. 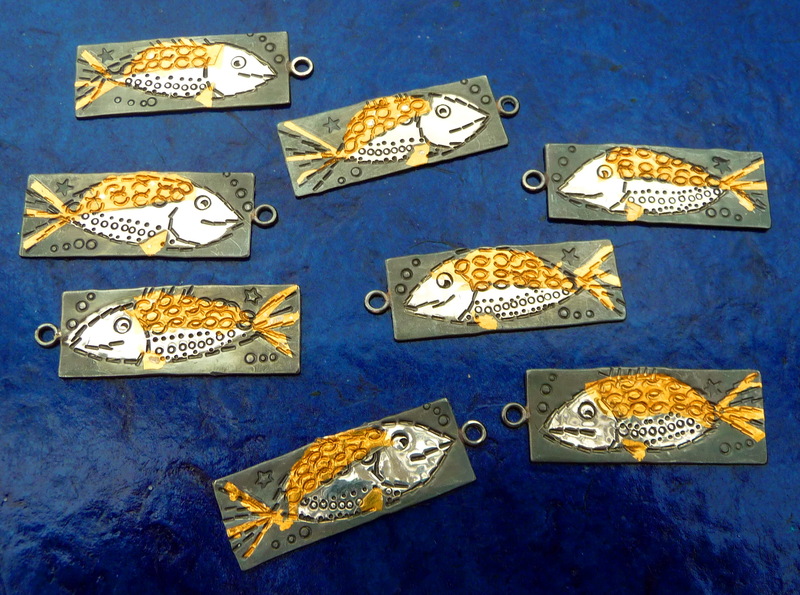 gold and they will be swimming their way onto our website soon. Our Keum Boo Little Owls now have a new friend, please say hello to our new Long Legged birds. We thought that our little owls looked a bit lonely, so here are some new friends. 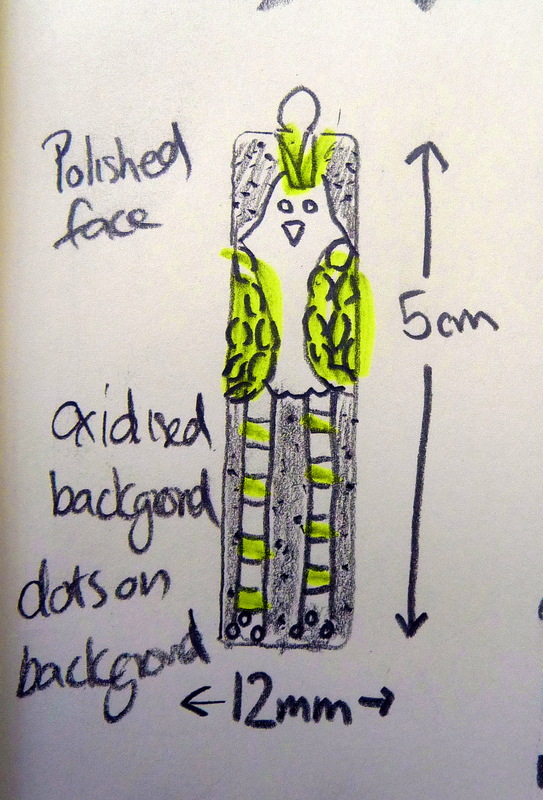 First the idea for the bird design was roughly sketched on paper. 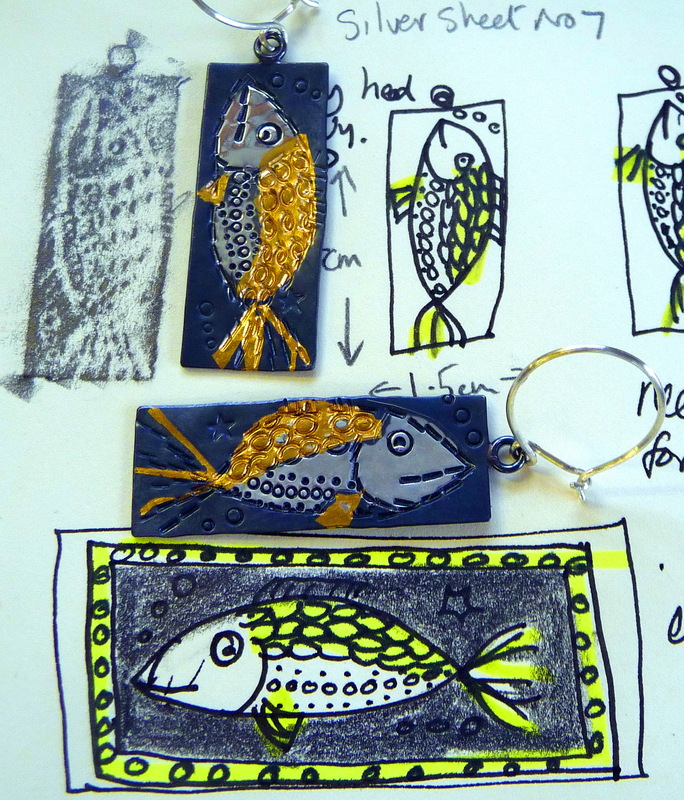 The challenge was to then use the punches that we have been using on our other Keum Boo jewellery, in a creative way. Instead of using the punches for their individual mark making, we had to combine them, with the overall effect of making a figurative image. The punches that we have available dictate how the image finally looks and these limitations have to be remembered when making the initial sketches. 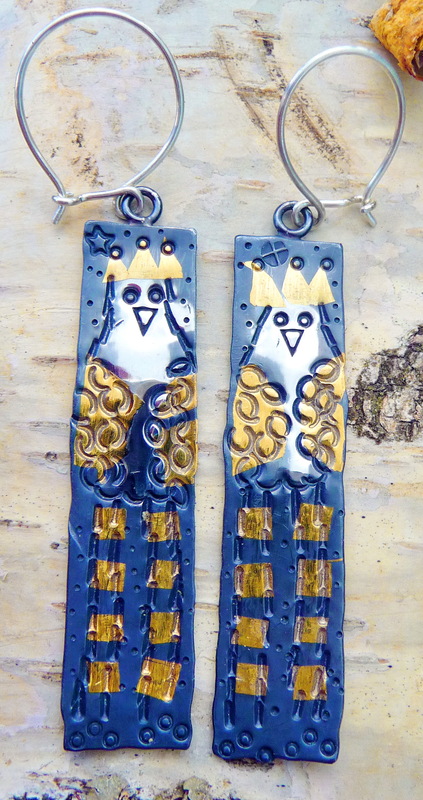 John says that this jewellery reminds him of folk art. We love the naive look that they have. We think that we will have to produce more Keum Boo creatures, we quite like the idea of having our own menagerie. Watch this space! Work in progress. 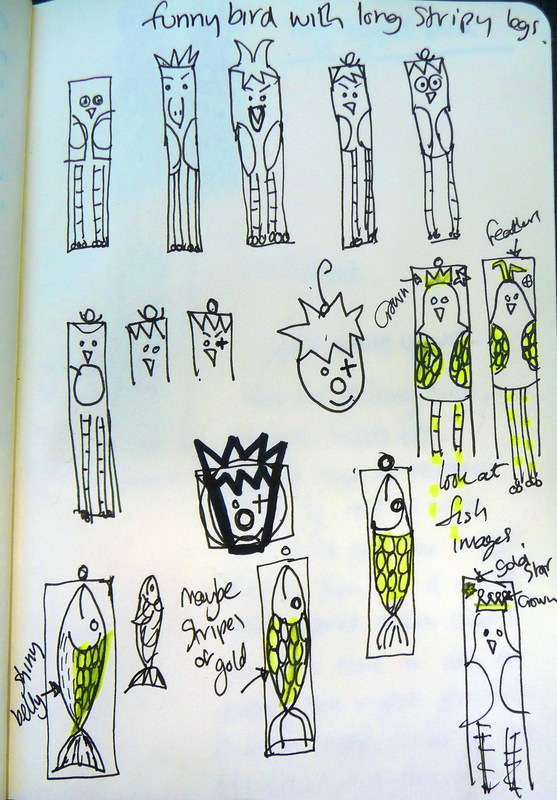 Initial sketches for the Long Legged Bird earrings. 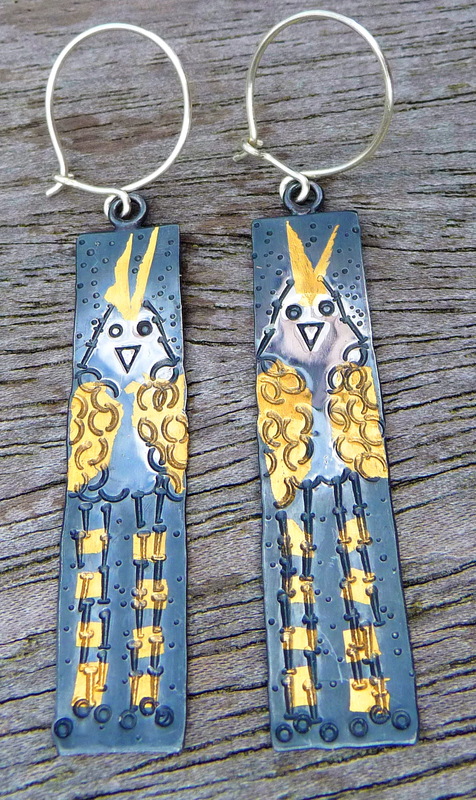 Finished design for our Long Legged Bird earrings. 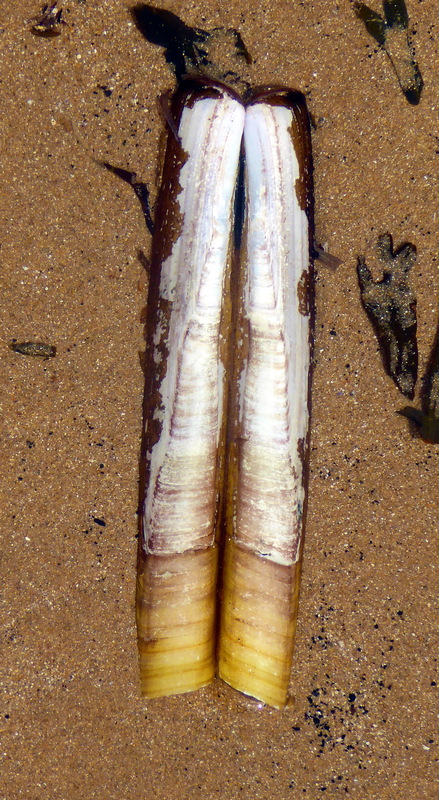 A Razor Shell that we found on a beach. Another sneak preview into our new Keum Boo range. More jewellery inspired by nature. 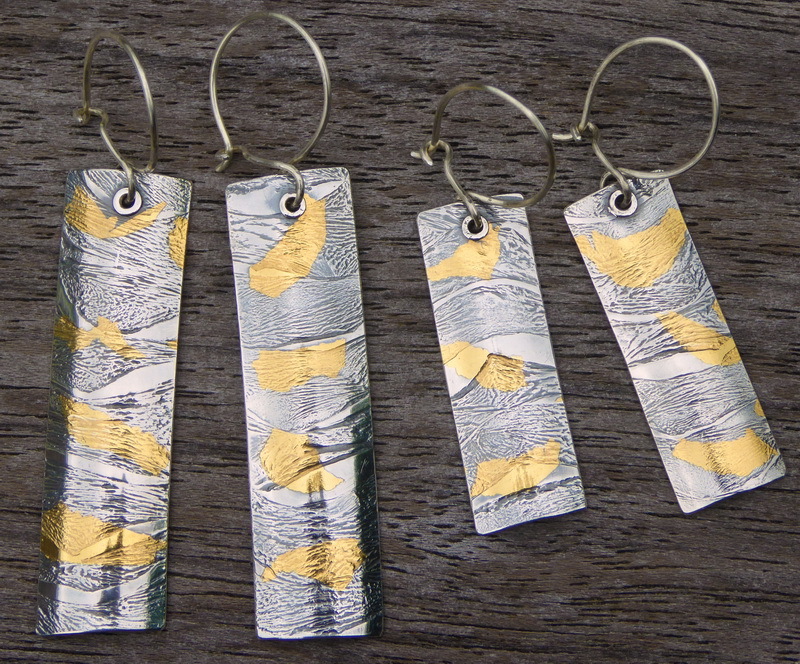 As you can see our new Keum Boo razor shell earrings have been inspired by, yes you guessed it, razor shells! Sometimes, something will inspire us and it gives us a starting point for what we want to make and the final object may look very different from the original idea. The concept behind these earrings was to get them to look organic and similar to the original razor shells that we found on a beach. It took us quite a while to develop the finished texture that we were both happy with. I am pleased to say that so far, we have had lots of positive feedback about them and we are now looking forward to getting them onto our website within the next couple of weeks. 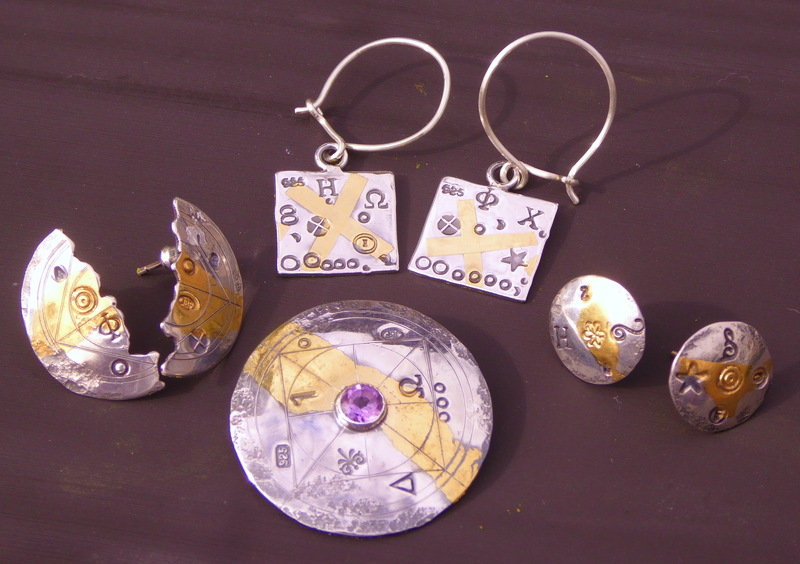 We have been busy in the workshop making our new range of jewellery. Our Keum boo range will soon be ready to add to our website and then it will be put on show in our outlets. 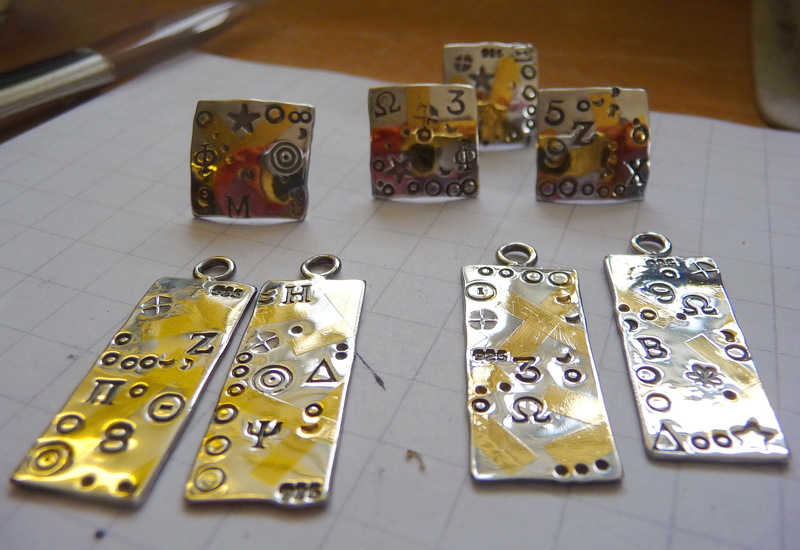 Keum boo is the ancient Korean technique of fusing 24ct.gold onto silver. It has taken us a few years to develop an understanding of the technique and to evolve our jewellery ideas to a point where we are really pleased with the outcome. The jewellery can be quite dramatic when oxidised, the black against the gold looks stunning but we also like the polished versions, as the different stamps that we imprint on the jewellery, are more noticeable. It is a technique that we both really enjoy using. Our new Keum Boo range, work in progress. 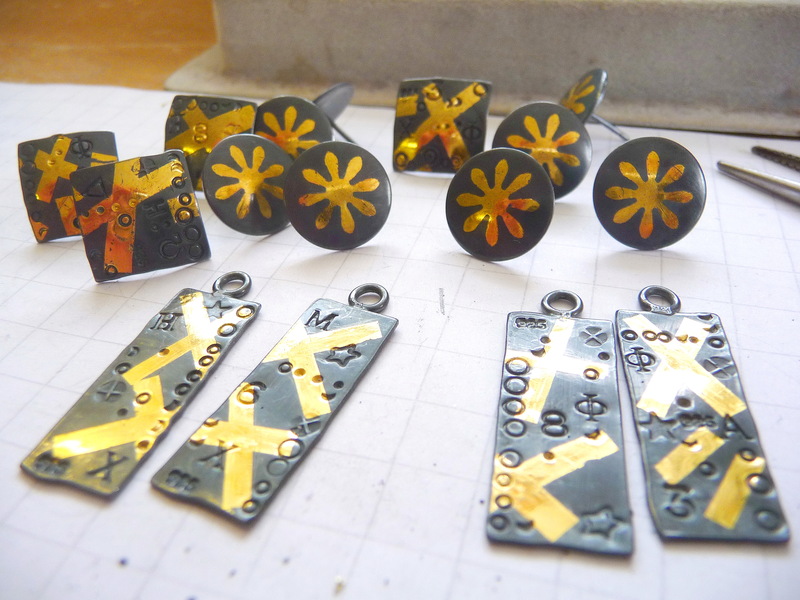 Oxidised Keum Boo jewellery, work in progress. We have used this colour combination many times, in fact it is one of our favourites, You would never guess where the colour inspiration came from for the jewellery below. 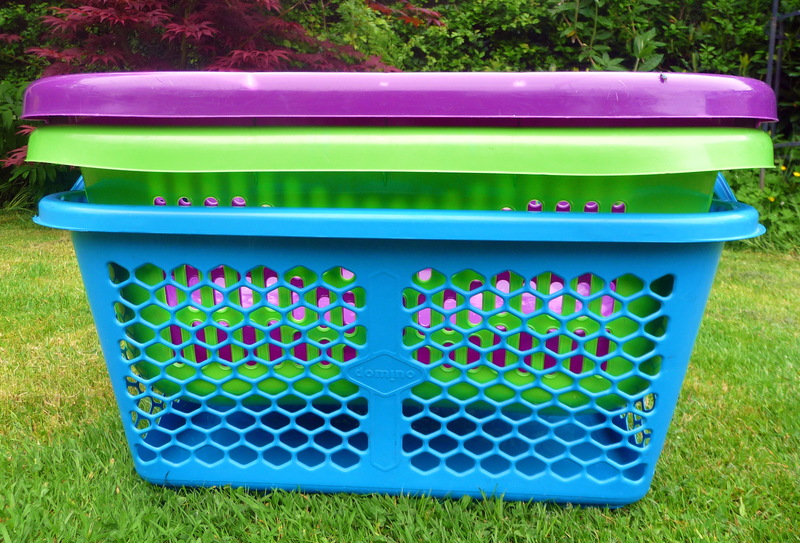 The colours of these baskets go so well together. They are unusual colours to put together but it really works. Often when making earrings or necklaces, we select various beads and play around with them, trying one colour and shape against another, until a pleasing combination is arrived at. It is a challenge though, as two colours may work well together but then add a different coloured stone and it will totally change how the other two look. With necklaces we have to use a large number of coloured stones and it can be a bit of a challenge to get them to work together. It is great fun to do though and quite satisfying when you come up with a colour combination that is really effective. Here’s Rosie, getting in on the act again. 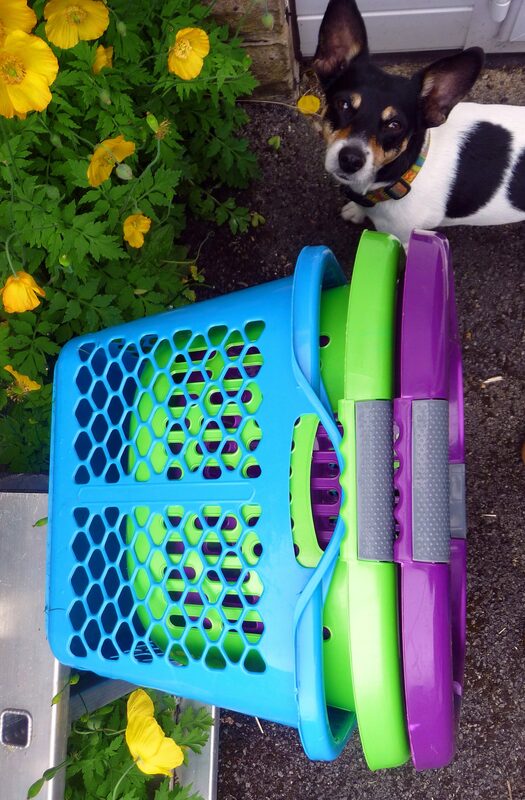 We would like to introduce you to Rosie, our little Jack Russell Terrier. We have no doubt that she will be appearing in future posts, as she has to be right in the middle of whatever is going on. She is our constant companion who keeps us on our toes. Luckily Rosie has a wonderful temperament but she does have a tendency to bubble over with enthusiasm and friendliness, which can sometimes get her into trouble. 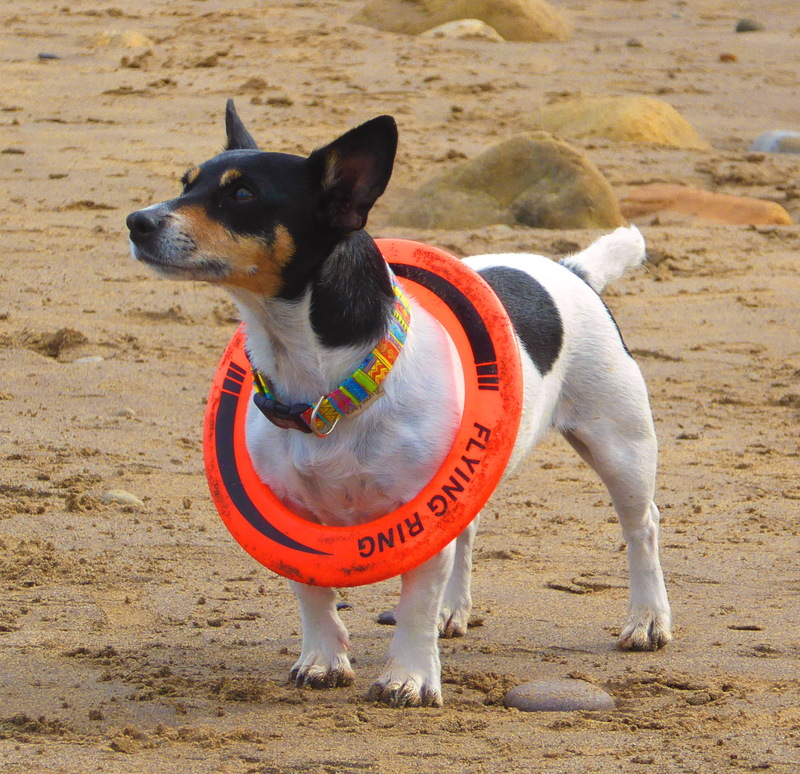 A typical tenacious Jack Russell Terrier, and we love her to bits! 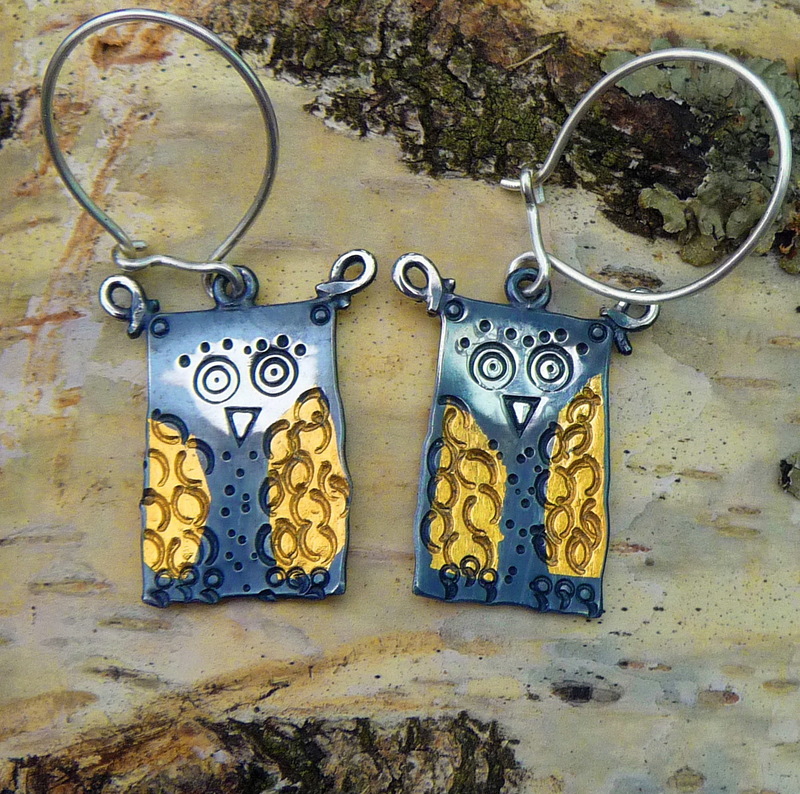 We have had a bit of fun in the workshop today and have come up with these very cute little owl earrings. 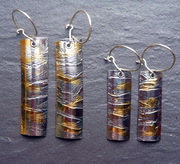 They are made from sterling silver and 24ct.gold. They will soon be launched on our website along with our new range of Keum boo jewellery. The owls are very different from the rest of the Keum boo range, so it would be interesting to get some feedback. Watch this space for more information and a sneak preview of our other new work.